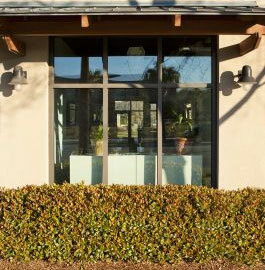 On November 12, 2012, Cipolla Cox, LLC opened a branch office in Mount Pleasant located at 652 Coleman Boulevard. Staffed by paralegals Stacie Dunn, Cindy Vincent and attorney Thomas Cox, the location enables the firm to offer East of the Cooper clients with a variety of legal services including residential real estate closings, refinance and home equity line of credit transactions. Centrally located opposite Moultrie Middle School, the firm's first, full time branch office is designed to enhance the client experience. Cutting edge office technology includes a color multifunction copy/scan/fax/printer with Drivve Image paperless document management, and a Sharp smart screen with video conferencing capabilities.